There are 24,418 registered voters in Natchitoches Parish. Of those, 90 have voted early as of Monday at 5 p.m. That equates to 0.36 percent, or less than half of 1 percent. Acting Registrar of Voters Debbie Tebbetts released the information Tuesday morning. There were 45 votes cast Saturday. Of those 23 were male and 22 were female. Democrats accounted for nine ballots, Republicans cast 28 and there were eight other party votes. Most voted in person, 41, while four were absentee. Monday was a repeat of Saturday with 45 votes cast. Of those 28 were male, 17 female, 23 Democrat, 19 Republican, three other party, 41 in person and four absentee. 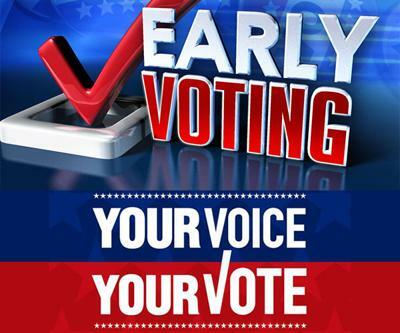 Early voting for the March 30 election will be in the Registrar of Voters Office, 200 Church Street (Courthouse), Room 103 through Saturday, March 23. Hours are 8:30 a.m. to 6 p.m. each day. Any questions regarding your polling location or early voting can be answered by the Registrar’s Office at 318-357-2211.